Square Enix held its own conference for financial results earnings earlier today. The company had quite a bit to say about the performance of Octopath Traveler. The new Switch RPG had sales stronger than Square Enix’s pre-sales forecast. Moreover, it exceeded expectations especially in the United States and Europe. The game also saw higher-than-average ratio of download version vs. packaged. 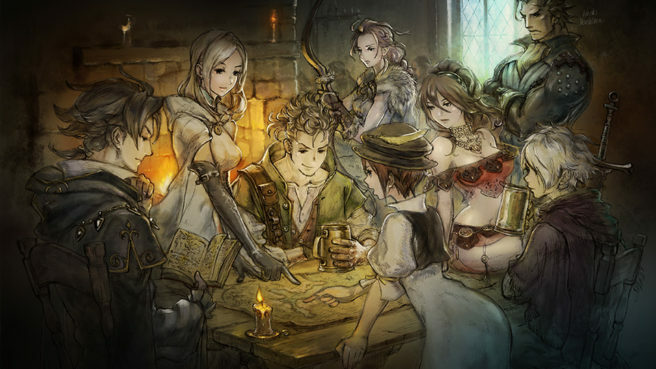 Why has Octopath Traveler managed to be so successful? Square Enix believes it’s due to factors such as a greater appreciation of JRPGs in recent years, game design that appeals to old Square Enix game fans, new elements including HD-2D, and attractive characters. Square Enix still believes Switch is a good platform for middle-range games. Also, the company said we can expect more of similar games in the future. Octopath Traveler is a Switch exclusive, but for future titles, it’ll depend on what Square Enix feels is appropriate.